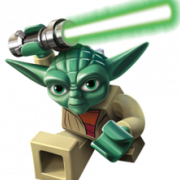 Finally, an official addition to your Collection is here! After years of requests and tweaks to the model, Cavegod's Sandcrawler is officially ready to be released to the public! 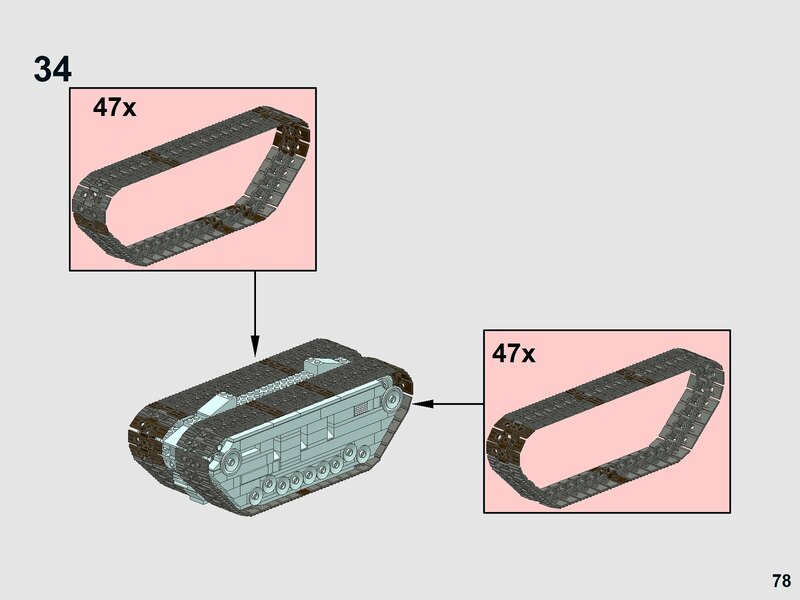 The MOC itself contains 12,110 parts, and its manual is 645 pages long. The MOC is built to minifigure scale, and does a job in capturing the sheer size of the vehicle in a way that no Lego set ever has (Or likely will) ever done. An absolutely stunning instructions manual and model! Thank you for everything! Is there an interior? Do you have any pictures? Do You have the measurements? As for more photos of the interior, we are planning on more coverage of the model to come in the future. 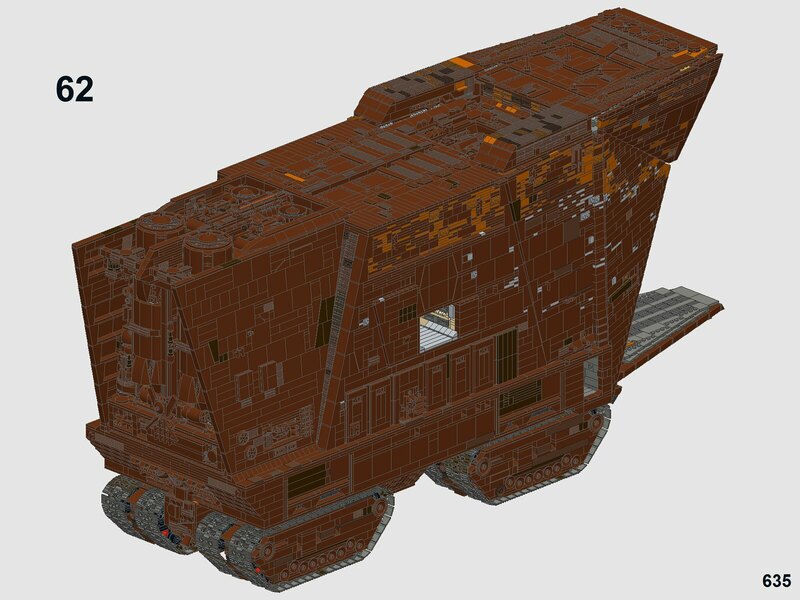 If you want to motorize the sand crawler you are going to need a bunch of Pf parts I’ll compile a list. WOW that puts any of them on the back burner!!! Great job! This sandcrawler is just a stunning creation! Motorizing it would be a dream come true. Any idea, Cavegod, of when the list for motorizing it will be ready? What a masterful creation this will be. Alright! Many thanks for your quick reply. Will start purchases. 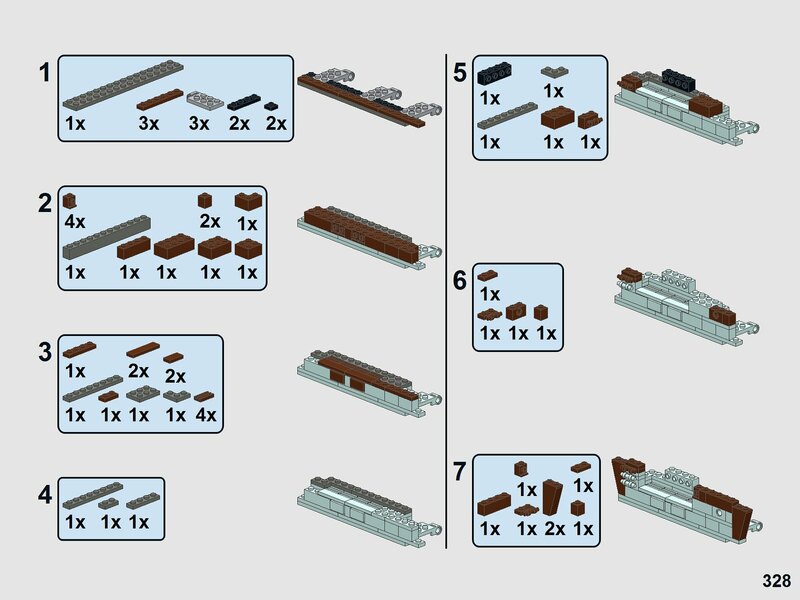 This is listed as "Minifig" scale can you clarify what the scale is either as 1:ratio or how many studs per meter or foot? it’s 97 studs long So 3.7 studs per Meter. For the motor concern: I included the motors for the tracks and interior in the instructions based upon their difficulty to access once fully built. Just need to see a size-comparison photo with the new UCS Millenium Falcon... That is massive! Incredible build. Would love to see a video, if possible. 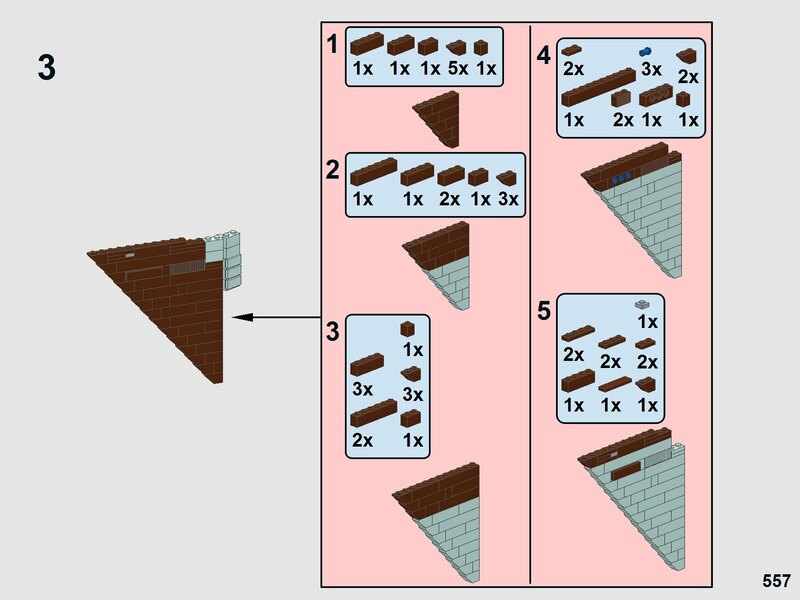 I bet Bricklink will sell out of brown parts in a week. What did it set up back? Can you tell the approx. amount you have spent so far? Also can anybody tell me how useful the set 75059 is for rare parts etc.